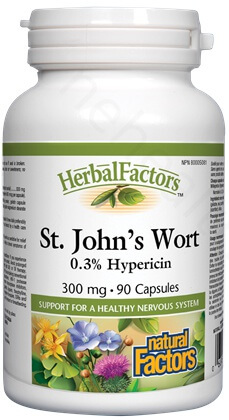 HerbalFactors St. John’s Wort is a full-spectrum extract, containing guaranteed levels of 0.3% hypericin. 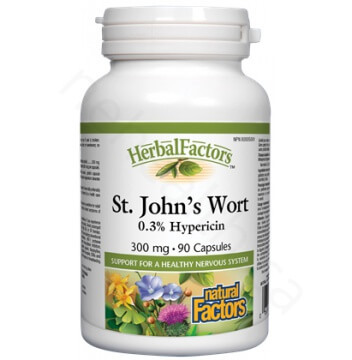 Studies support the use of St. John’s Wort extract for improving mood and sleep, while reducing feelings of sadness or hopelessness. 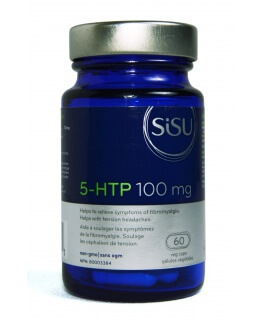 People with diagnosed clinical depression or on antidepressant medication should only use St. John’s Wort under the supervision of their physician. Recommended Adult Dose: 1 capsule 3 times daily preferably with meals, up to 6 weeks, or as directed by a health care practitioner. Caution: Consult a health care practitioner if you experience sleep disturbances or if symptoms persist. Avoid prolonged exposure to sunlight, ultraviolet light (UV) or UV therapy. Consult a health care practitioner if you are taking conventional medication, such as contraceptives, HIV-1 protease inhibitors, non-nucleoside reverse transcriptase inhibitors, immunosuppressants, anticoagulants, digoxin, theophylline, serotonergic antidepressants, migraine therapies, SSRIs and/or anti-epilepsy drugs. 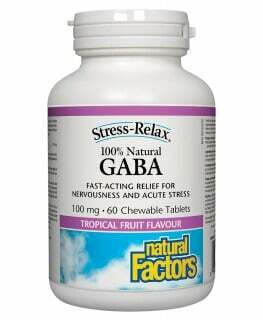 Do not use if pregnant or breastfeeding. Linde, Klaus, et al. "St John's wort for depression—an overview and meta-analysis of randomised clinical trials." Bmj 313.7052 (1996): 253-258. Zhou, Shu-Feng, and Xinsheng Lai. "An Update on Clinical Drug Interactions with the Herbal Antidepressant St. Johns wort." Current drug metabolism 9.5 (2008): 394-409.